Improve your brand image and leave a lasting impression with your clients by molding your referral CV into a well-designed, memorable document. Capturing more detail on your compulsory application form allows you to streamline the candidate’s application process and gives you more data-points to work with, thus yielding more accurate search results and much FASTER too. Our upgraded application system recognizes candidates’ ID numbers and gives them the option to apply in an instant! No more frustrated candidates. No time wasted whatsoever. Add that personal touch and build a better brand reputation. Set up future-dated reminder SMS’s for client interviews (Just like the dentist!) to drastically reduce no-shows or use bulk messaging to share the vacancy link via SMS. Your candidates can apply immediately on their smartphone. Catch up with your friendly Key Account Manager for the best industry tips and tricks. With a quick audit of your system, we can provide answers to those lingering questions and advice on how to better integrate your cloud-based recruitment platform with your real, day-to-day workflow. The devil is in the details and it’s the small fixes that will help you win – Making more placements, faster! All this for just R2999 excl. Looking for something a little lighter? Grab any of our bundle items at 20% off! New features have been added to Placement Partner! Quick Search Candidate and PostBox CV’s with keywords. Searching Placements by Placement Date? Done. You now have the option of drawing Placement Reports based on either Start Date or Placement Date. At Placement Partner, we are constantly looking at ways to enable our users to work smarter without sacrificing security and the quality of candidate data. As you know, the design ideas for Placement Partner often tend to come from you guys, our clients. This is another one of those. We realized that many recruiters are adding candidates to their Postboxes by using the “Submit your CV” form on their own company websites to save time in this demanding industry. This method allows a recruiter to quickly capture just the candidate’s contact details and searchable CV, without having to capture all the compulsory fields in New Candidate. The candidate is then in the Postbox where the split screen helps you to drag and drop info from the candidates’ CV more easily than if you were capturing manually. So thanks once again to your ingenuity, we decided to make this an official feature accessible from within Placement Partner. The new Add CV feature will enable you as users to load your Candidate’s CV’s into the Postbox from within the Placement Partner System. The Postbox menu has been moved and is now one of the main tabs on the system. Try out and enjoy this time saving feature on your system TODAY! We value your feedback. Following excellent feedback at our year-end seminars, Talent3sixty and Placement Partner are proud to bring back international sales expert Andy Preston. This time he’s tackling what recruiters fear most…cold calling. Listen to Andy’s videos below to learn why you can’t afford not to attend these superb half-day seminars. We’ll be in Durban, Joburg and Cape Town and look forward to seeing you all there. Leading Sales expert Andy Preston brings his New Rules of Recruitment Selling to South Africa. 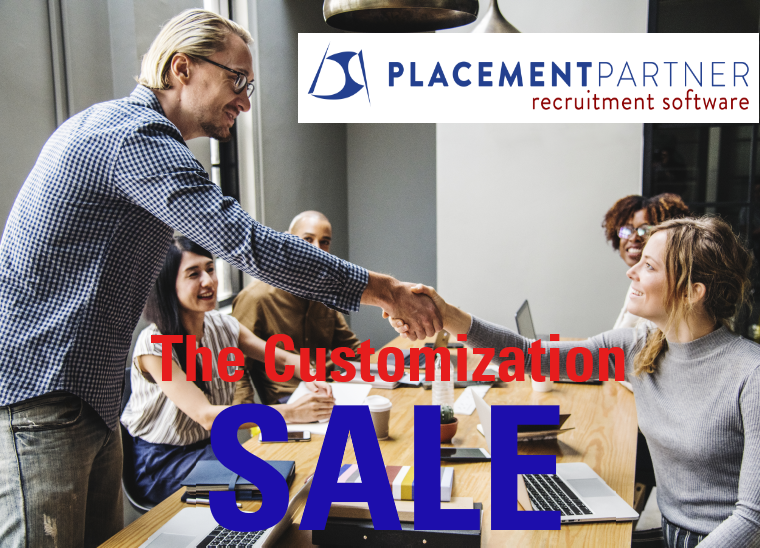 This half-day power seminar, powered by Placement Partner, will help recruiters to understand how to adapt their sales approaches to meet the changing requirements and buying motivators of clients. This practical session is perfect for recruiters from across the agency spectrum. Delegates will leave feeling confident and better equipped to planning and executing sales, meaning 2016 should be their best sales year ever! For a special price exclusive to Placement Partner clients of just R495 inclusive per person, you’ll equip your recruiters for success. Seats are limited so don’t delay, book now! Email lesley@talent3sixty.co.za for a booking form today. F5 Recruitment Owners Retreat. Presented by talent3sixty. Powered by Placement Partner. Join other like-minded business owners to make 2016 your best year ever. The Recruitment industry is changing – daily! Most SME Recruitment Business Owners are stuck, unsure how to adapt & move forward and make it BIG. We know it’s difficult for you to take time away from your business. BUT we also believe that your business will benefit from a formal strategy session. And we’ve created an SME-specific Recruitment Business Owners Retreat that will give you the chance to work ON, not just IN your business. Join a select group of like-minded business owners at the 2015 F5 Refresh Retreat. Thanks to the great support of Placement Partner, we’ve also managed to secure UK recruitment sales expert Andy Preston (www.andypreston.com) to facilitate the sales strategy session at the retreat. Andy will help owners to rethink their sales plan and determine how best to empower & manage their consultants to ensure they achieve the required sales targets. Every business owner will construct their own unique business blueprint that will help them ensure that they reinvent, refresh and reinvigorate their businesses, to make 2016 a fantastically successful and profitable year. All of this value for just R5995.00 (inc VAT) per person. Placement Partner clients get a reduced rate of R4995.00 (inc VAT) per person. Additional delegates from the same company can be accommodated at a reduced rate from just R2995 (inc VAT) per person sharing. Seats are limited so contact us today to book yours! Dear Clients, What do you think? We’re upgrading our public (marketing) website and it’s almost ready to go live! You can have a peek at it here, and let us know what you think. 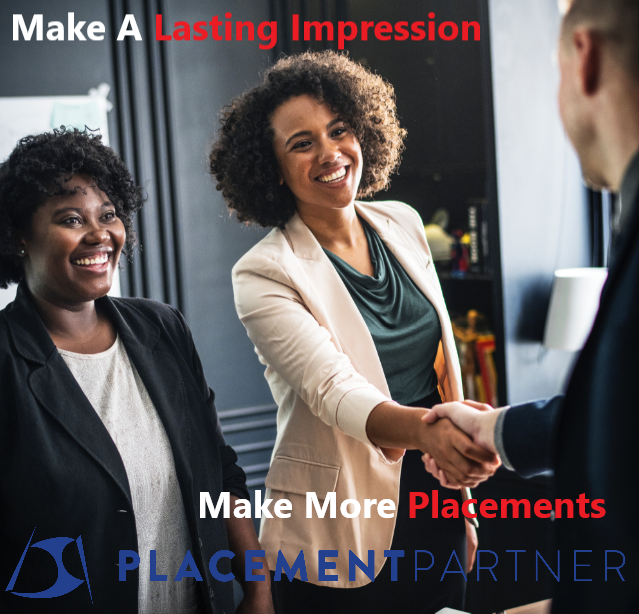 Please note that Placement Partner recruitment system, your favourite recruitment software, will be unaffected, this is only the public website we’re talking about. Once inside, everything will still look familiar and be in its place. You’ll still login by clicking on the red Client Login link at the top right of the screen. Tip of the day: please re-acquaint yourself with your username and password, especially for those of you who store passwords in the browser, because your browser will probably ask for it the first time you try to log in on the new site. Client Recommendations, Dear Clients, What's New? We are pleased to welcome Job Buddy as a fully integrated job board. As a leading job listing site and portal, Job Buddy aims to connect Job Seekers with employment opportunities, and is a place where Recruiters can find fresh talent. Job Seekers can easily navigate their user friendly and responsive website to view jobs. The design layout changes for optimal viewing on any phone, tablet, laptop, or desktop PC. Now you have more choice than ever before! Newsflash! We are pleased to announce JobVine as an integration partner. This means that, as with your website and your other integrated job advertising portals, you can post all your jobs to JobVine straight from your advertising tab within Placement Partner AND get all your responses back into your Placement Partner PostBox for ease of use. Isn’t that great? As one of the leading job boards, JobVine sees over 800 000 visitors per month and has numerous features to attract candidates such as an active blog, huge twitter following and an easy-to-navigate job search and application process. Another major attraction for recruiters is this – it’s FREE and no paperwork is required! As such, we are going to be making JobVine integration available to all our clients on an opt-out basis, so look out for a mail from us asking if you’d like to specifically not advertise on JobVine – unless you tell us otherwise, we will enable JobVine to fetch and display your adverts when you tick the “Advert visible” tickbox. Expect to see ad response from JobVine rolling into your Placement Partner PostBox soon! JobVine will accept your start and end date but doesn’t support expiring jobs ahead of the expiry date. If an expiry date is not provided then JobVine will post the job for 8 weeks. The job sectors will be linked by moderators within a few hours of your ad going live. Dear Clients, Did you know? We’d like to remind all of our clients of the Placement Partner Referral Discount Scheme. This scheme is designed to reward our loyal customers for saying great things about Placement Partner and referring other clients to us. How much discount do I get, you ask? You will receive 1% discount for each new user signed, resulting from your referral. Many of our clients have jumped on this scheme and have substantially lowered their monthly Placement Partner fees. The discount will apply to a maximum of 100 referred Placement Partner users and will reflect on the monthly invoices. The discount will be applicable as long as the client is subscribed to the Placement Partner Online System and all their payments are up to date. Please note this discount is applicable only on the monthly user subscription and not add-on services like Web integration, SMS credits and customisations. In addition to this, the referring company receives a 500 SMS bundle and the individual person who sent the referral receives a mystery gift hamper! Our normal Terms and Conditions of sale apply. For any referrals, we welcome your emails at sales@parallel.co.za. Categories Select Category Client Recommendations Dear Clients Did you know? Maintenance Newsletter Team Parallel Uncategorized Weird & Wonderful What do you think? What’s New?